Sen. Patrick Leahy (D-Vt.), one of the oldest “swampsters” in Congress, is calling on the Senate Judiciary Committee to hold an oversight hearing on the Trump administration’s attacks on the FBI and Justice Department? “I have never been so concerned that the walls intended to protect the independence of our dedicated law enforcement professionals, including Special Counsel Mueller, are at risk of crumbling,” he said. Read more HERE. The more Leahy opens his mouth….the more he reveals his true self! A GOC hearing is warranted on Leahy’s official corruption, obstructions of justice and cover ups! Testimony, documentation and a demand for a full investigation into drug related crimes and violations of law, rights and due process were hand-delivered to Senator Patrick Leahy….he DID NOTHING! HE MUST ALSO BE HELD ACCOUNTABLE! Sen. Patrick Leahy (D-Vt.) Has “Never Seen Anything So Irresponsible” As Tensions Rise Over Judicial Nominees….Really? The Hill reports “More than four dozen judicial nominees are in limbo as President Obama’s term draws to a close. “These are supposed to be nonpolitical positions,” Sen. Patrick Leahy (D-Vt.), ranking member of the Senate Judiciary, said. “I’ve been here longer than anybody else, I’ve never seen anything so irresponsible.” Read more HERE. Senator Leahy complains his Republican colleagues are “not willing to follow the Constitution, they won’t do their job”? Related: Senator Patrick Leahy (D.VT.) Assumes Position In Presidential Line Of Succession…Are You Kidding Me? Click here. U.S. 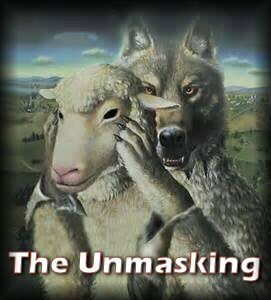 Senator Kelly Ayotte….Remove The Mask! The Union Leader reports “Today, the U.S. Senate is expected to deliver a bipartisan vote of final passage on the Comprehensive Addiction and Recovery Act (CARA), a 128-page bill Ayotte and three other sponsors have worked on for two years. Ayotte said in the past two years she’s fought to get into federal spending bills a two-and-a-half time increase of dollars — up to $468 million in the coming year. And the Democrat seeking to unseat Ayotte, Gov. Maggie Hassan, underlined this fiscal reality as well. The best thing this law could do, Ayotte said, is to help remove the stigma of addiction. “My promise is not to allow any of these people to become just statistics.”” Read more HERE. The “best” thing this law could do is to help remove the stigma of addiction? Why wasn’t (now former N.H. A.G.) US Senator Kelly Ayotte interested in the “distribution” of drugs in Farmington N.H.? Why did she choose to cover up, rather than fully investigate, drug activity in Farmington, involving the Farmington Police Department? Why did officers of the Farmington Police Department resign/retire….of just plain leave? Governor Hassan “mocks” (now former AG) US Senator Kelly Ayotte’s “support” of Donald Trump, yet Hassan continues to shield the official corruption/cover ups left behind by Kelly Ayotte. Hassan follows in the same footsteps as former Governor John Lynch. A.G. Joseph Foster follows in the same footsteps as former AG Kelly Ayotte. New Hampshire Governor Maggie Hassan’s Campaign For U.S. Senator Uses Stephen Colbert’s Mockery of Kelly Ayotte’s “Support” But Not Endorsement of Donald Trump. He wasn’t interested in where drugs were coming from…..he was looking for Federal Funding! Senator Patrick Leahy (D.VT.) Assumes Position In Presidential Line Of Succession…Are You Kidding Me? Why are the same players ignoring the documented evidence brought forth by Mike Gill? Does (now former USAG) Chris Christie and current Governor of New Jersey “have their back” also? Is There More Behind New Hampshire Corruption? To add fuel to the fire….The assistance of Senator Susan Collins was sought in obtaining a full investigation into this criminal activity. She did nothing! After you came to the office last week, Ashley and I reviewed the materials you gave to her. It is clear that this is a criminal matter and our office cannot be involved in any way due to the separation of powers established by the United States Constitution. We appreciate having you inform us of this situation, but there is nothing more we can do in regards to this matter. Mike Gill – State of Corruption Radio Broadcasts and Video archives, click HERE. Richard Mack Pitches Classic Posse Comitatus Theory on Fox’s Lou Dobbs, view HERE. Richard Mack, CSPOA Founder and Executive Director. Constitutional Sheriffs and Peace Officers Association (CSPOA) website HERE. The purpose of the CSPOA – An Introduction By Sheriff Richard Mack, view HERE. Related: Senator Patrick Leahy (D.VT. ), click here. When will senators be as disgusted with judicial prostitution? Judges regularly engage in “reckless, “morally repugnant” behavior with opportunities for blackmail or coercion threatening” the very foundation upon which our country was built. When judges sell their services to the highest bidder is this not prostitution? People are focused on why congressional leaders permit this culture in which such behavior is tolerated. With all the evidence Tom Dunn presented to Senator Olympia Snowe back in 1979, Snowe was “satisfied that sufficient investigation has been carried out by the office of the Attorney General.” The pattern of official corruption is ongoing today evidenced by the refusal of members of Congress to take action on testimonies of victims of government and judicial corruption presented to them in February 2013. Maine’s Attorneys General have followed suit. Congressional Testimony presented to members the United States Congress in February, 2013. The demands for investigation into judicial misconduct, based on documented evidence provided by the people, has long been ignored. With all of this evidence on the table, do they really think they are kidding anyone else but themselves? This is a public scandal! Sen. Patrick Leahy, D-Vt., formally assumed a position in the presidential line of succession becoming the Senate pro tempore after the death of Sen. Daniel Inouye, D-Hawaii. We submitted testimony, documentation and a demand for a full investigation into drug related crimes and violations of law, rights and due process. I was quite disappointed that I was not afforded the opportunity to speak with him. Upon Senator Leahy’s exit from the building he yelled out to me that he “would read my documents on the plane.” We have not yet received a response from him. With this evidence on the table, would we expect anything different with Senator Patrick Leahy? Does he really think he’s kidding anyone else but himself? Vermont, help us all and remove this man from office! President Bush’s Confirmed Judicial Nominations, click here.